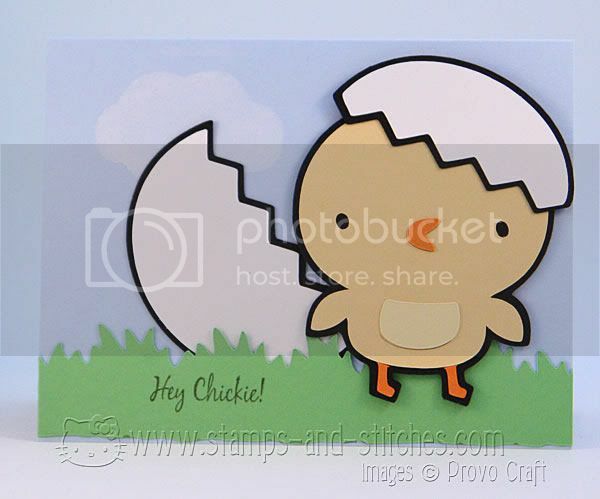 Stamps and Stitches: Hey Chickie-you're sssss-weet!! Oh my Goodness!! You made the CUTEST CARDS!! I have to say, I was dying to see the Ssss...weet! one used with that snake wearing the party hat. That just cracks me up. I love what you did with it! The bookmark and ribbon is so pretty. Ssss...nake card...I love you. LOL! "Hey Chickie! "...why am I still laughing at my own stamps? I know it's because of your adorable chickie!! Wonderful work Gale! Really cute, colorful and fun. What talent!! Thanks again for using my stamps to make your cards! How fun! I love the chickie card. I bought a TAC stamp set just because of the chick and sentiment that says "hello chickie" because my sister in law's nickname is chickie. Love it! These are TOTALLY awesome Gale! I have been itching to get my hands on this cartridge and you have made it loads worse.lol. Gale! I love your cards. 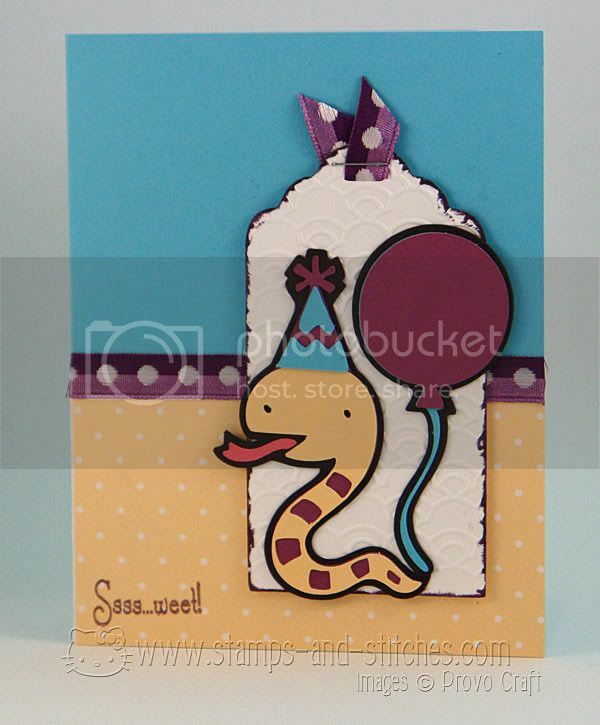 I have not used the snake or chick cuts from CAC yet but I really love what you did here, especially the chickie card. Soooo cute.